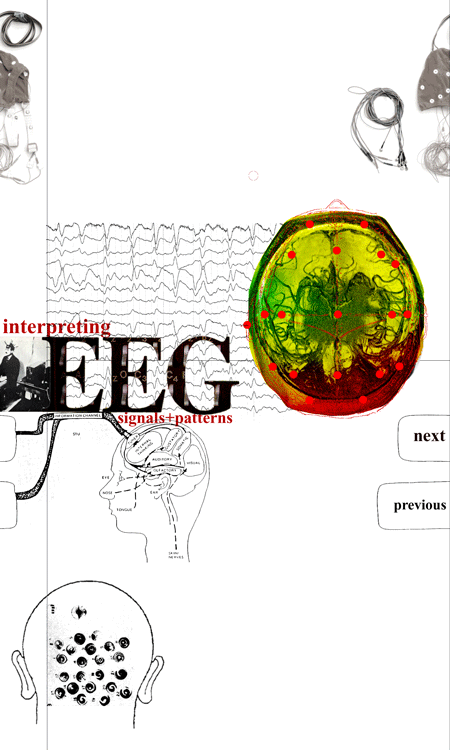 Neurobiologists has developed a new approach to interpreting brain electroencephalograms, or EEGs, that provides an unprecedented view of thought in action. The new information processing and visualization methods make it possible to follow activation in different areas of the brain dynamically. The significance of the advance is that thought processes occur on the order of milliseconds —thousandths of a second— but current brain imaging techniques, such as functional Magnetic Resonance Imaging and traditional EEGs, are averaged over seconds. This provides a 'blurry' picture of how the neural circuits in the brain are activated, just as a picture of waves breaking on the shore would be a blur if it were created from the average of multiple snapshots. "Our paper is the culmination of eight years of work to find a new way to parse EEG data and identify the individual signals coming from different areas of the brain," says lead author Scott Makeig, a research scientist in UCSD's Swartz Center for Computational Neuroscience of the Institute for Neural Computation. "This much more comprehensive view of brain dynamics was only made possible by exploiting recent advances in mathematics and increases in computing power. We expect many clinical applications to flow from the method and have begun collaborations to study patients with epilepsy and autism." To take an EEG, recording electrodes—small metal disks—are attached to the scalp. These electrodes can detect the tiny electrical impulses nerve cells in the brain send to communicate with each other. However, interpreting the pattern of electrical activity recorded by the electrodes is complicated because each scalp electrode indiscriminately sums all of the electrical signals it detects from the brain and non-brain sources, like muscles in the scalp and the eyes. "The challenge of interpreting an EEG is that you have a composite of signals from all over the brain and you need to find out what sources actually contributed to the pattern," explains Makeig. "It is a bit like listening in on a cocktail party and trying to isolate the sound of each voice. We found that it is possible, using a mathematical technique called Independent Component Analysis, to separate each signal or 'voice' in the brain by just treating the voices as separate sources of information, but without other prior knowledge about each voice."